We operate as a development partner for companies. With an understanding of contemporary design, culture and research, we create strategies, experiences and identities. With heart and with bite. 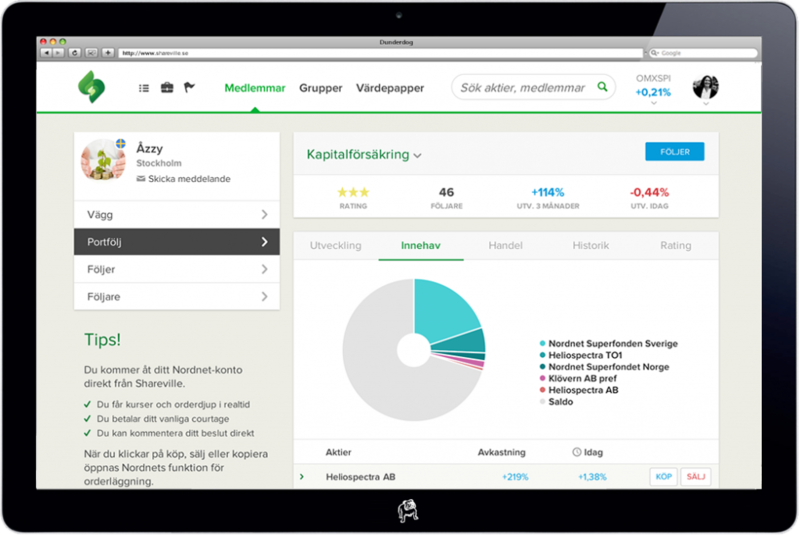 Rävisor AB (556781-1616) is a new audit consultancy agency working exclusively with small housing associations in Sweden. 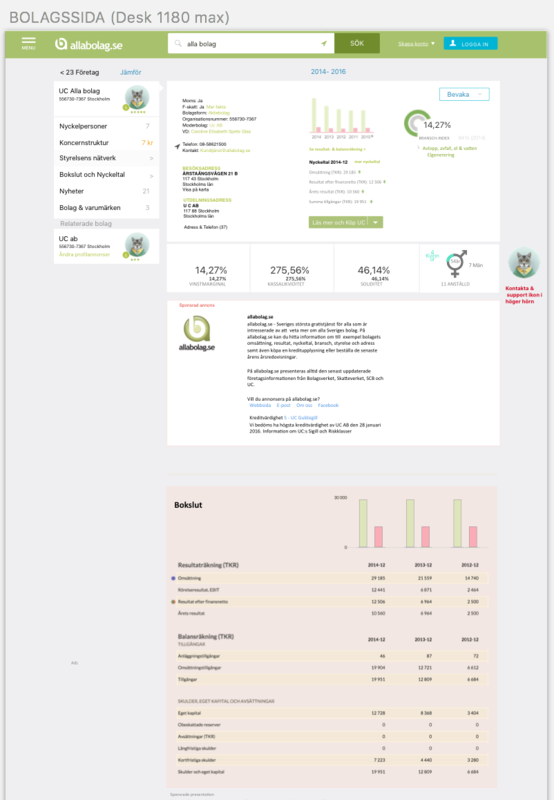 Boflink is a tool for board work, Mäklarservice.com presents the broker information before a sale. We have long experience in creating structures that works. In this case we made a localization strategy based on local presence in 186 countries. The mission was to boosted findability, leads and sales. That was a tough one, but some challenges needed our nose to be solved. Shhh… we are doing our thing without telling anyone what we are up to… or for whom. We made a simple campaign site a few years back that is still running fast and converts leads into customers. We have a strategic partnership with B3it in experience design and usability. Allgotech’s Hose Master was used for the 3 1/2 months ordeal. The Hose Master made the material servicing possible. In a safer environment the hoses were washed, pressurized and dried in a fraction of the time, something that would have taken a full year to achieve using the old technology. It’s a truly impressive entrepreneurial company taking its first steps into the world market. 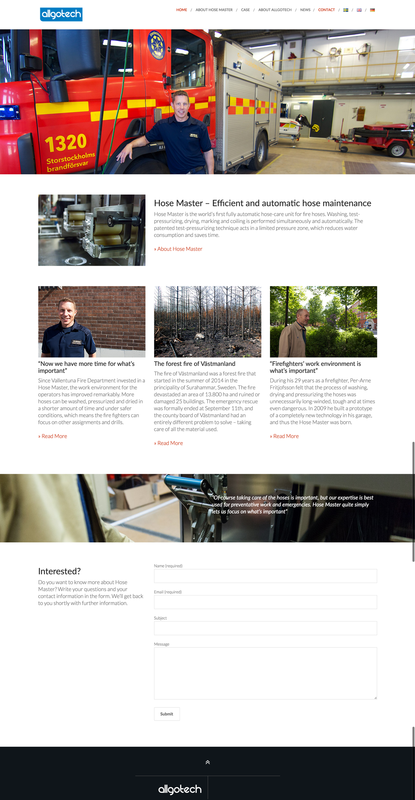 Dunderdog provided a solid base, updating their profile with a brand new site. Eye tracking – studies of eye movements in a context of use – provides concrete and reliable information about what the user sees and perceives. And, about what is not noticed. The method is thus suitable for studying virtually everything that is presented on a website or app. We used it in several cases such as A/B testing for Search vs browse impact, Packaging, Customer support efficiency, Ad and offer performance, intranet findability and of course usability at large. We use the new Tobii X2 eye tracker, which measures eye movements with very high precision, and a separate web camera to catch motion and user reactions. 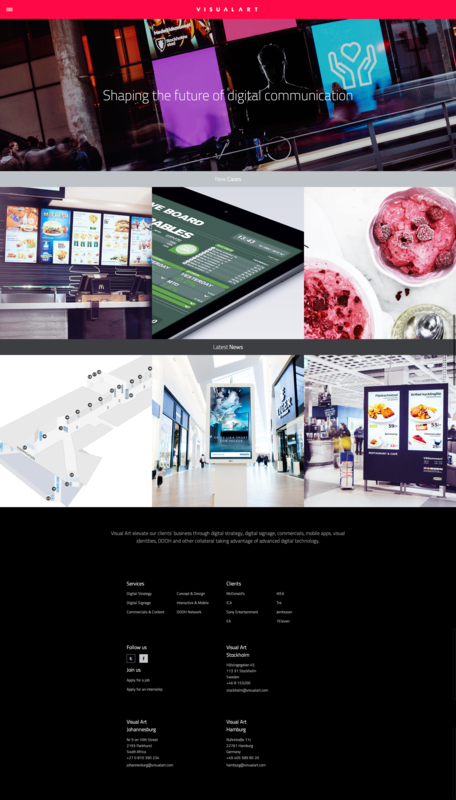 Clients: Telenor, Ericsson internal, Telia, Halebop, Eniro. Mobile marketing tool. Selling to existing customers is much more effective than acquiring new ones. Our product helps retailers to reach their existing customers with the right offer, at the right time, in the right place. Mobilklubb is a simple, smart and cost effective way to sell more. 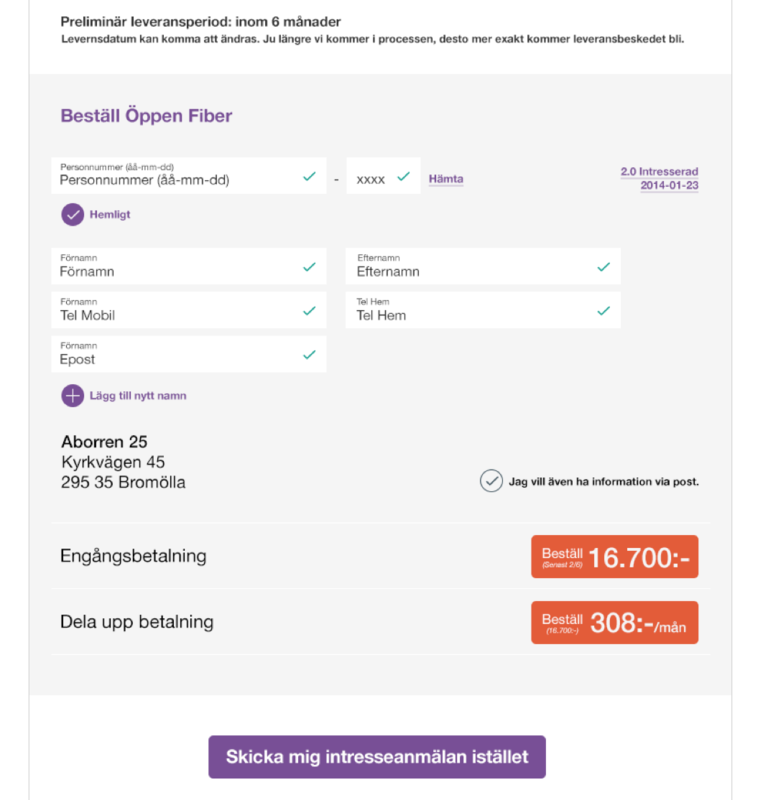 Now you can order your fiber and sign the agreement digitally on Öppenfiber.se. Dunderdog and Telia have entered into a collaboration with Egreement. Shareville is finally available for all! Congratulations! We can now help each other to keep up with the ups and downs of the stock-market. We proudly follow Shareville’s progress. 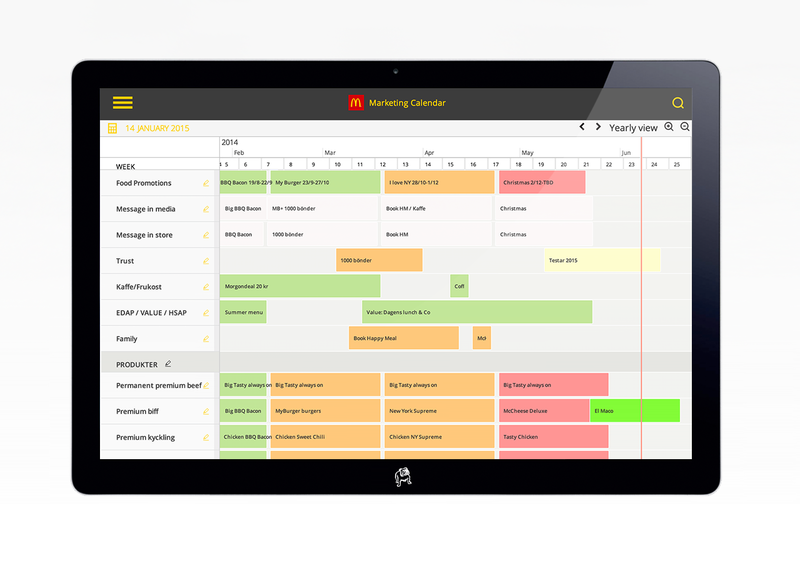 There are lots of calendar tools out there, but none that is as flexible and transparent as a spreadsheet. We simulated the needs together with Visual Arts media customers and it resulted in a calendar. It has the same characteristics as a whiteboard, with the simplest attributes to outline the year.